Does the thought of visiting your dentist for care leave you feeling anxious? If so, then you’re not alone, as over 30 million Americans will miss-out on valuable dental care this year due to dental anxiety or phobia. Thankfully, you don’t have to settle for this reality. With help from your sedation dentist in North Dallas, you can receive the care you need without enduring any agonizing discomfort. Learn what to expect from two common forms – oral conscious and IV sedation. The most popular option in sedation dentistry, oral conscious sedation is typically used to calm mild-to-moderate anxiety. Delivered in pill form, the medication is taken around an hour before the appointment starts so that by the time the patient arrives for care, he or she can enjoy a more relaxed mood. As the name suggests, you will typically remain awake with oral conscious sedation. Still, you may doze off at certain periods throughout the treatment process, and it’s common to have no recollection of the procedure after it’s done. Receiving this form of care does require some planning, though. Because the effects can generally take hours to wear off after the treatment has completed, you’ll need to have someone drive you, and you’ll more-than-likely, need to take-off work for the rest of the day. For more acute cases of anxiety or phobia, your dentist may recommend IV sedation, which is delivered intravenously for faster results. To ensure that the process is as safe as possible, the medication is administered by a trained MD Anesthesiologist who works alongside your dentist. With this form of sedation dentistry, you’ll still be conscious, but you’ll experience a deeper sense of relaxation. Similar to oral conscious sedation, the intravenous method can leave you feeling a little foggy hours after the treatment has concluded. Thus, you will need to take it easy for the rest of the day and have a friend or family member nearby to monitor your well-being. If you’ve heard horror stories in the past, or you had a bad experience with a previous dentist, it’s understandable for you to have some reservations about receiving dental care. The key, though, is to not let that get in the way of you receiving the care you need to maintain or improve your oral health. So to learn more about what this form of dentistry can do for you, reach out to your local sedation dentist today. For over 40 years, Dr. Dale Greer has been a fixture in the North Dallas area, providing the best in dental care to his patients. Since earning his dental degree from Baylor College of Dentistry, he still remains a lifelong learner, taking hours of continuing education and earning “Fellowship” in the Academy of General Dentistry. 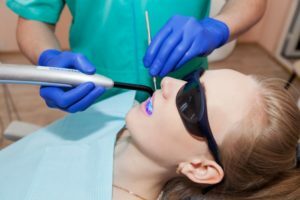 Dr. Greer helps patients overcome their anxieties with sedation dentistry at his private practice, and he can be reached for more information through his website.